Ask The Fitness Jewell: How Do I Succeed Fitness-Wise This New Year? I know what it's like to have the same resolutions staring up at you year after year. Here's how I broke through—and how you can too! I'm that person everybody talks about—the one who has the same fitness resolutions every year but doesn't make them a reality. How can I break my streak? I know just what you're feeling, because I've been that person, too! For a decade—that's right, I said a decade—I would kick off every year listing the same resolutions, totally intent on achieving them. Tops on the list were "compete in a fitness competition" and "get into the best shape of my life." It took until 2011 for me to cross these babies off. Boy, did it feel good! When I finally accomplished my goal of stepping on stage, I couldn't help asking myself why this goal, like many others I've set before, had taken so long to come to fruition. The easy answer was that distractions, interruptions, and unexpected obstacles popped up and robbed me of my focus. But at the end of that long road, it dawned on me that the easy answer was too, well, easy. Prior to 2011, I never had a clear plan with defined steps in place to achieve my goal. I had applied that method to other aspects in my life, such as school and hunting for a job, but when it came to health and fitness, I still seemed to think that the answer would somehow find me. Long story short: It didn't. I feel your head nodding. So let's get serious about your question. You've got a goal—let's keep it at just one for the moment. Now what? Plot your course of action and the steps needed to achieve your goal. Sure, this may sound basic, but that's why it gets overlooked so often. Your plan of attack is vital to your success! But so is keeping it simple and concise, so it doesn't overwhelm you or overshadow the goal itself. My planning takes the form of these four simple steps. Look around and you'll find lists that are way longer, but I'm of the opinion that simple is better when it comes to something as important as fitness goals. Don't just jot down "get into shape," "lose weight," or anything else that could be considered vague. Get specific: "Set new PRs on my three favorite lifts," "Reduce my body fat to a percentage within the 'fit' range," or "Achieve six-pack abs for the first time." If you have trouble making goals, use the S.M.A.R.T. system to help you analyze a few candidates. S.M.A.R.T. stands for: specific, measurable, attainable, relevant, and timely. There are countless guides in print and online to help you put these principles into use. This is where your past can help. Identify obstacles that have prevented you from achieving your goal up until now. 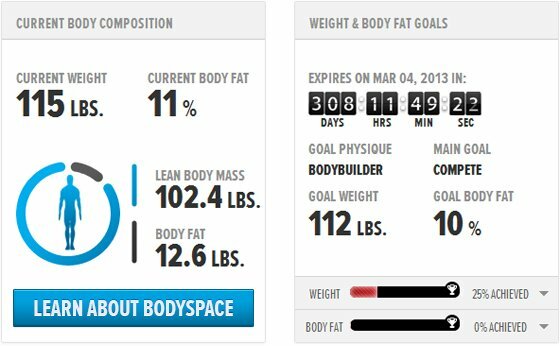 If you've never had a "fit" level of body fat before, what prevented you from achieving one? Was it making the time for consistent, quality training? What about poor nutritional habits during the workday, at home, or both? If you can identify the obstacles ahead of time, you'll be far better prepared to combat them when they arise again. It may not seem like it after years of disappointment, but trust me: Your problems have solutions! For example, if you tend to make poor food choices when on the go, make it a point to educate yourself on healthier options out there or plan ahead and prepare more of your meals to have with you. Make sure each solution is realistic according to your lifestyle, but also don't pass up the opportunity to transform your lifestyle into a better one. For instance, if hitting the gym after work isn't consistently feasible, consider going in the morning, even if you know it will be a struggle for a while. Set both short (weekly or monthly) and long-term (the next 3, 6, and 12 months) timeframes for your goals. Having these overlapping deadlines helps you turn an immediate goal into a stepping stone to a larger one. For the short term, you could challenge yourself to only eat out at restaurants three days each week instead of five, and instead have healthier meals from home. Each time you replace even one unhealthy meal with a healthier option, you are one step closer to achieving your overall goal. Once you have your four steps down on paper or in your BodySpace, keep them in your life. Preserve them in an easily accessible and—just as important—easily editable format so you can update the short-term goals and keep your obstacles and solutions in the front of your mind. At any time of the year, revisit them and re-evaluate them to help keep you focused on the prize. Even if you get off-track for a bit, don't brush aside your overall goals and ambitions. Refocus, take control, and truly make 2014 your year of accomplishment.